What a beautiful and glorious night! We began in the chapel with our family liturgy. What a gift it was it to worship with two-year-olds, 70-year-olds, and everyone in between. 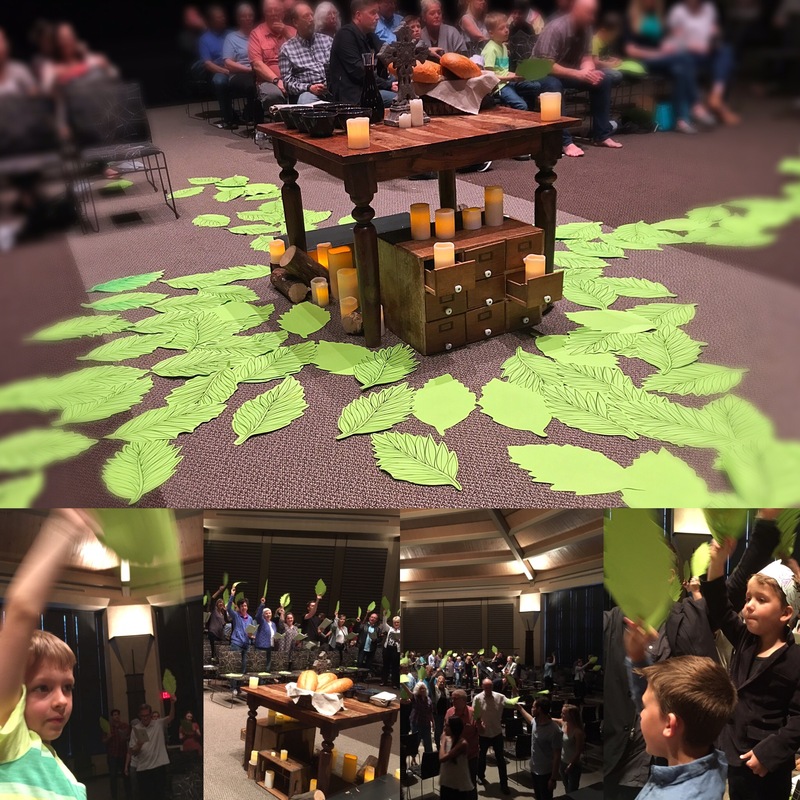 Then Meredith led us into the story of Palm Sunday with palms, parades, and the promise of redemption. We came to the communion table and then gathered around tables downstairs for our third annual Palm Sunday Potluck of Glory. If I only had eight words to describe it, I would have to choose “Aaron unconscious under piles of green bean casserole.” I love when we gather as a whole community to enjoy fellowship! In the last three years I have come to love this community so deeply. Thank you all for your beautiful presence. As we begin holy week, can we all agree to lean into the story? Let’s not push too quickly to the cross and empty tomb, but let’s sit in the events of this week. What does God have for you in these days? How can you walk with Jesus in the events of this week? Lori did some phenomenal work gathering a list of Holy Week services throughout the area. You can also read some beautiful wonderful poems for Holy Week from Malcolm Guite. May your Holy Week be rich with the presence of Christ.